Aside from the Insta-Decks from the game screen area, you can also take full control of your cards and create a whole new dueling deck. Create and customize your decks to fit your playing style. Refer below to learn more on how to unlock the Deck Builder screen and how to navigate around the Filter options. Follow the steps below in-order. - Go on through the game and complete Chapter Node 3. - Go to the World Map and a new notification will appear: "Want to build your own Deck?". Shop icon. Use it to create your own deck from the cards you've acquired. Building decks is a key part of becoming a Duel Monster! the current cards in your deck. - Use filters to browse through your available cards. - Follow these simple steps to guide on how to navigate around the card Filter options. - Hover your mouse over the "Power" filter option then select "501-1000" option. 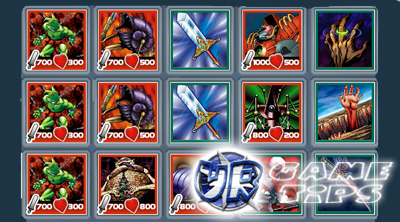 - Next, hover your mouse over the "Card Type" filter then select "Monsters" option. - You should be able to view all monsters you have with 501-1000 Power. - This time, try to select "Spells" under the "Card Type" filter option. - You'll notice that, you can no longer view any cards! To view all Spell cards, click the "(X)"
button next to "Power: 501-1000". - Now, you should be able to view all your Spells. - Experiment around the Filter options to familiarize yourself. - Click the cards you want to add into your deck. - Click the cards you want to remove from your deck. - Move your mouse over the cards to read their description. 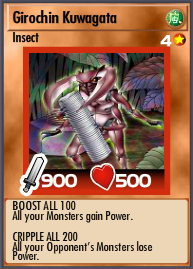 around 700 Power and above, then slowly get monsters with "Boost", "Boost All", "Cripple" or "Cripple All" effects. You can obtain or encounter more monster effects as you progress through the game. - Do not overuse Spells!, limit and only add around 5 Spells in your deck "for now". 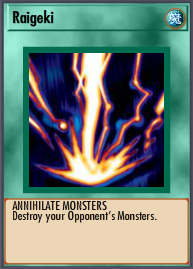 - Your Life Points is the total number of life points of the monsters in your deck. - If this is your first time creating decks, refer to the screenshot above this guide for sample. any changes made to the deck. - Click the "Save" button after editing your deck. - Click the "Rename" button to edit your current deck's name. - Click on the X button (upper left corner) when you are done editing your decks! Step #4 Use Your Custom Deck Now! 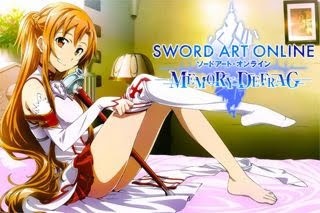 - Enter any duel and your custom deck will be used now.